New Hampshire is a lovely state. I may be biased since I was born there and graduated from high school there, but it has mountains, lakes, rivers, and wildlife galore. If you feel like getting lost in nature and reconnecting with the simple things that make your soul happy, well, New Hampshire is just the place. That is why we included a stop in New Hampshire on our summer Northeast road trip. I just wanted a night in the mountains to introduce my kids to the natural beauty of camping in New Hampshire. Since it was only for one night, I thought New Hampshire cabin camping was the way to go so we wouldn’t have to set up and break down the tent for so little time spent there and because our next stop was going to be 3 days of tent camping. 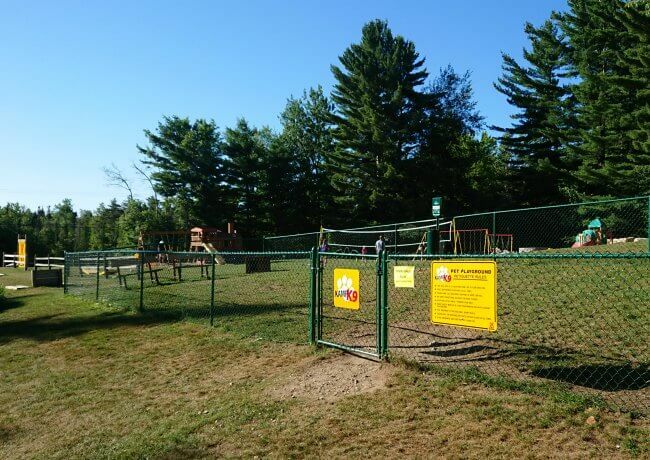 I like KOAs because they are consistent, quality, campgrounds that usually have really nice amenities and a great sense of community so that the kids can some together with other kids from all over and play together. 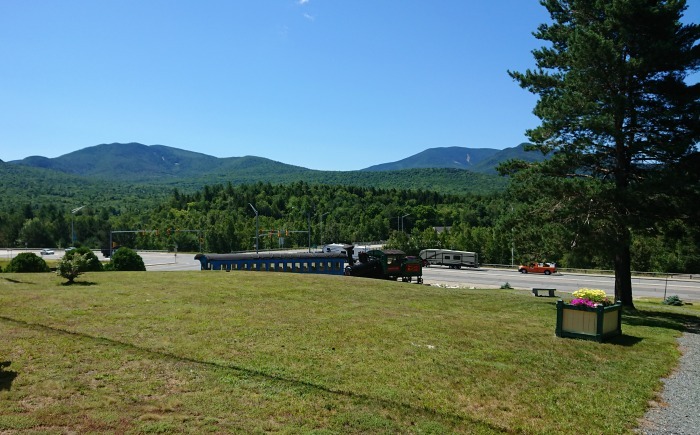 I searched for New Hampshire KOAs and I found 5 but the one that suited our road trip plans the best and exposed our kids to the beauty of the White Mountains was the Twin Mountain Mt. Washington KOA. I provided with an overnight stay in order to facilitate my review. The Twin Mountain Mt. Washington KOA offers cabin camping, RV camping, and tent camping. 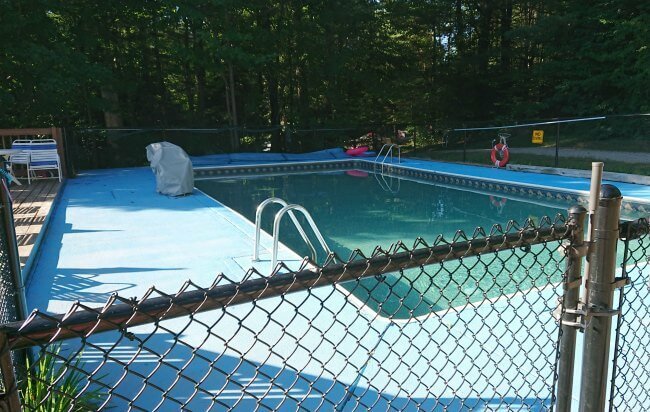 So no matter what kind of camping in New Hampshire you are looking for, they have you covered. 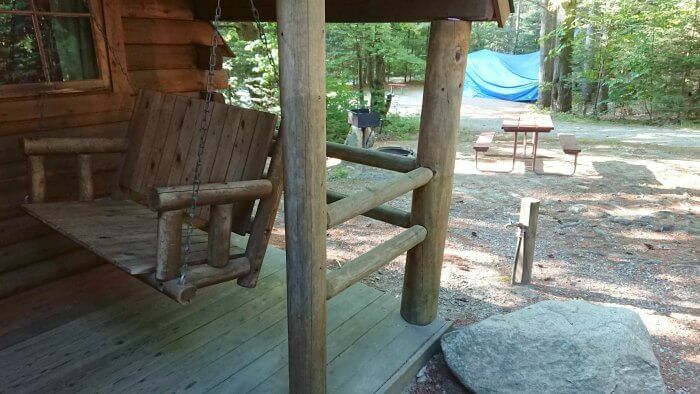 In fact, they even have different kinds of cabin camping to suit your needs. 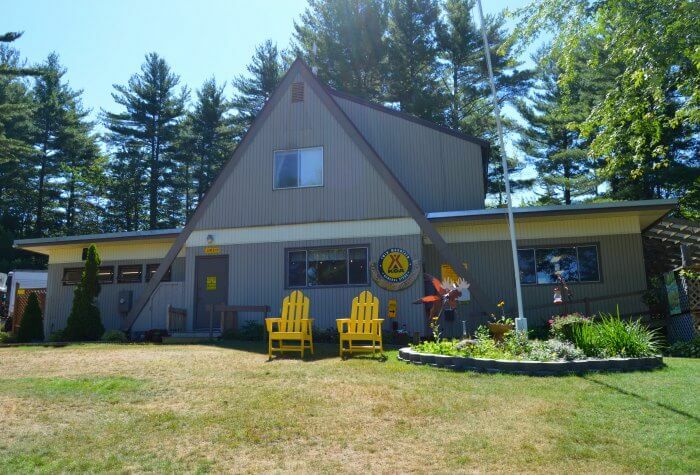 They have 8 cabin camping options and all of them have pets allowed! 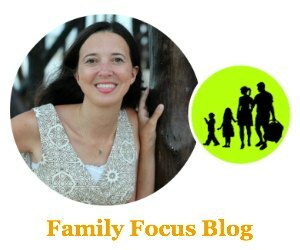 I am always looking for that feature since we like to go on vacation with our dog. 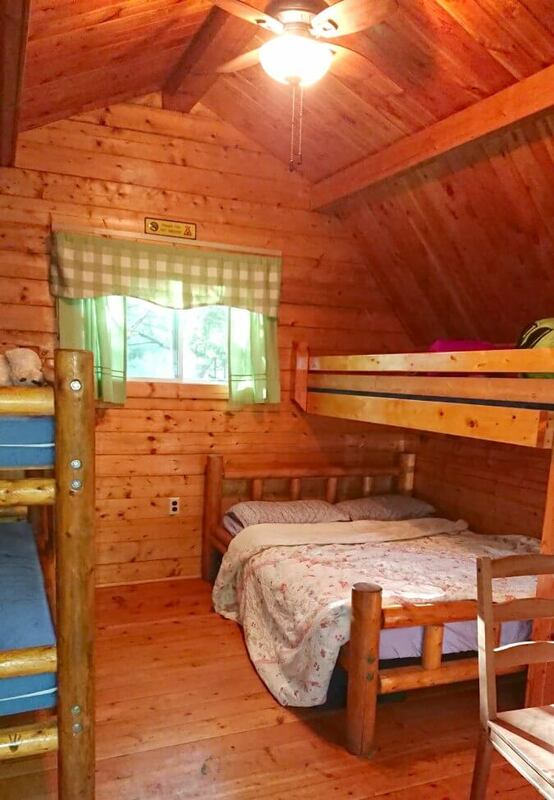 Almost all of the cabins have bathrooms but the 1 room camping cabin does nor does the real train caboose cabin. 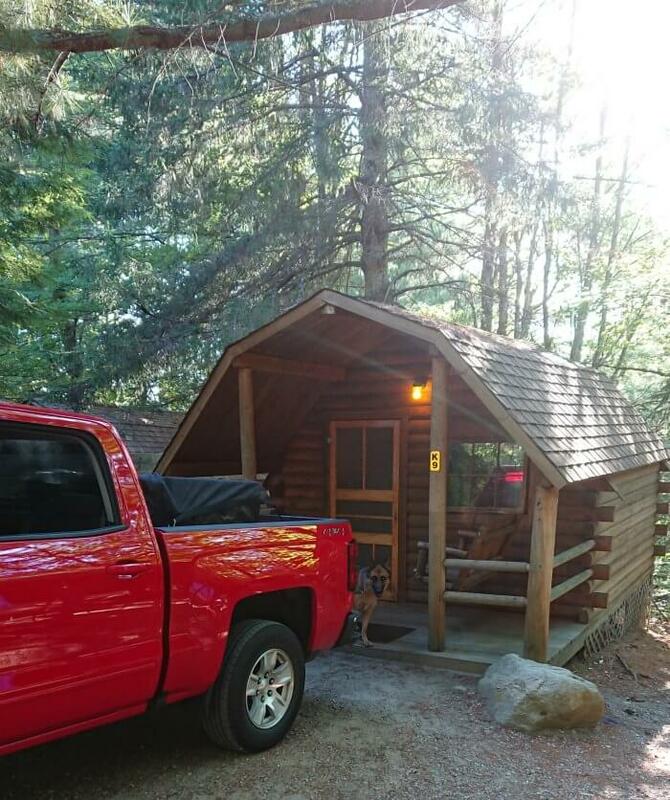 I love KOA deluxe cabins and we had recently stayed at one when visiting Acadia National Park, but since it was only for one night and we knew we wouldn’t be spending much time in the cabin but rather out and about exploring, we opted for the simple 1 room cabin camping. As the name says, it is a one room cabin. It has windows and two sets of bunk beds. One set of bunk beds was a single over a double so it can sleep up to 5. My husband and I snagged the double and the kids both snagged the top bunks making for two happy kids. There was a desk area and chair along with a bench and an area to hang or shelf things. The outside porch was very nice with a swinging seat to relax in and we enjoyed the fire pit that night for making s’mores. There was also a water spigot, a picnic table, and a grill for our use. The Twin Mountain Mt. 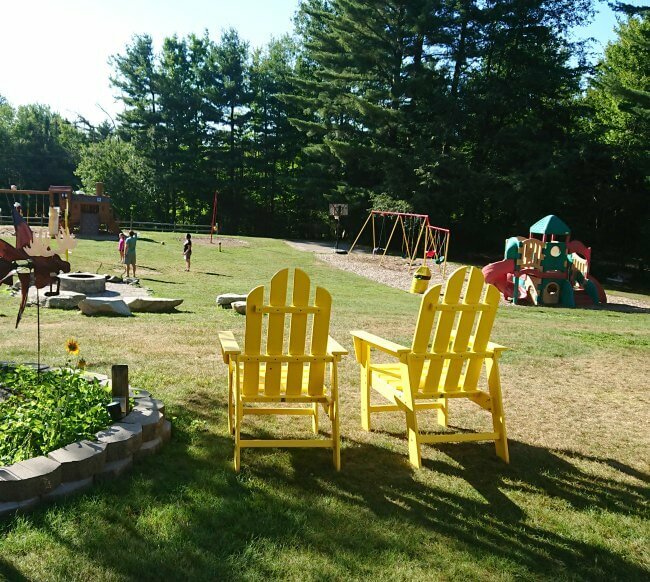 Washington KOA is an award-winning campground in the heart of New Hampshire’s scenic White Mountains and it has nice amenities. There was a pool, a playground, a volleyball court, and even a tether ball court. Our dog appreciated the dog park to so he could play off the leash and socialize. They also have free wi-fi. The caboose cabin is a fun treat to look at as you pass by too! 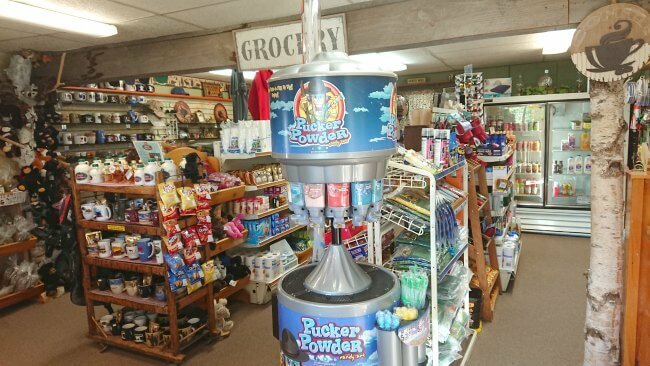 The KOA store has all the basics you might need and there were great places to eat nearby. Biking, fishing, swimming, golfing, ziplining. You are in the White Mountains so there are countless trails to hike including the famous Appalachian Trail. Climb to the top of New England’s highest peak, the summit of Mount Washington, on the world’s first mountain-climbing Cog Railway. Eight foot falls and pretty but dangerous swimming hole. More info here. Littleton, NH was named the 6th on the list of Best Small Town Downtowns in America. 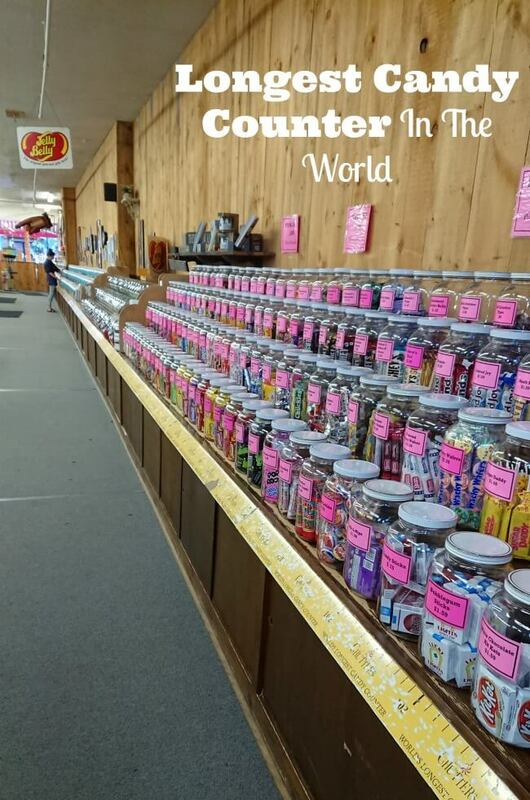 We stopped into Chutter’s to check out the “longest candy counter in the world”. They had lots of cute souvenirs and fun random knick knacks too. We ate at the Schilling Beer Company because my husband loves craft beer and the pizza was delicious. Worth the stop. 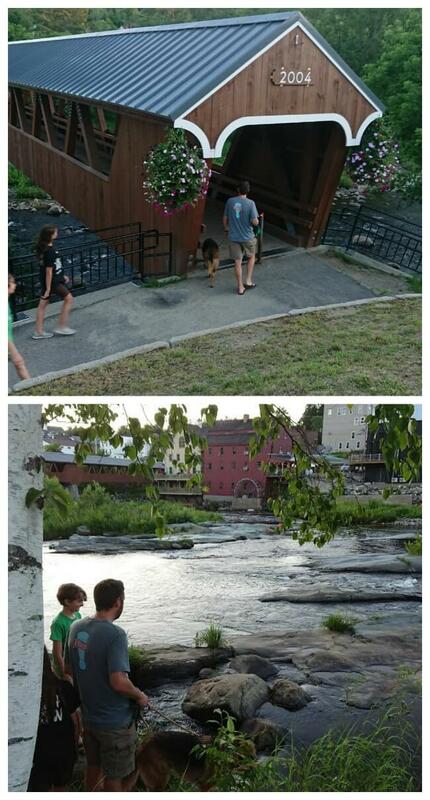 Then we strolled across the picturesque Riverwalk Covered Bridge and along the river. More attractions can be found on the KOA Attractions page. I was there many times when I was younger. It was always a great place to visit.